Do you need a new furnace! Or are you considering home improvements. At Kingston’s we can help you make those important decisions when it comes to home heating. Making the right heating choice for your particular needs is extremely important and will help save you money and conserve our energy resources. Determine your home’s specific needs with the help of one of our knowledgeable Energy Management Consultants. 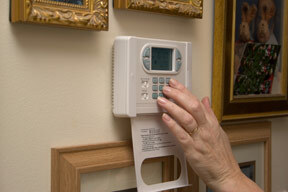 You can rely on them to help you select the heating system that’s best for you and your home. New Home Construction: Planning to build or are you doing a major renovation! In either case you will need a new heating system or a system upgrade. At Kingston’s we have a team of experienced Home Energy Heating consultants who can advise you on the choice of heating that is the most efficient and economical solution to your heating needs. Our consultants can meet with your architects or planners to help design a system that can meet your home heating needs.